For his third birthday party, Ezra wanted a dinosaur theme. Amanda and I often begin our party planning at a level some people people might deem "over-the-top," and then scale it back a bit. 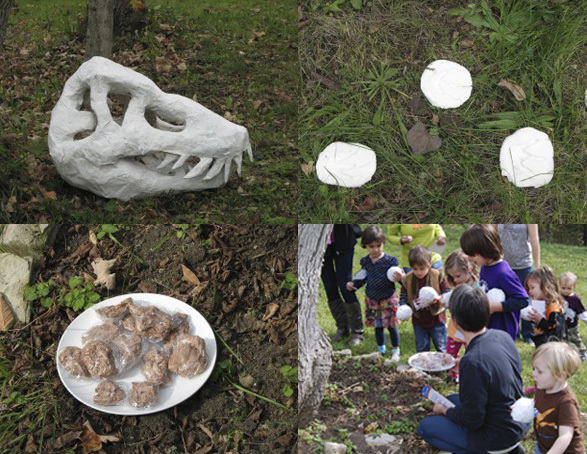 When we were presented with the dinosaur theme, our initial idea was to plan the party as if it were taking place during the late-19th century "bone wars"; The decorations, games, food and our dress would look as if were hosting a reception for Othniel Charles Marsh and Edward Drinker Cope to reveal their latest fossil finds, which we would create out of paper mache. 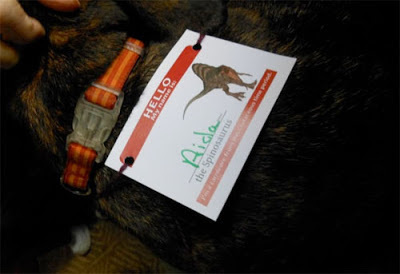 We then realized a more general dinosaur theme would make more sense to both Ezra and the guests, and be much cheaper. We started by designing an awesome invitation. We then welcomed the guests with name tags. Though almost everyone knew each other, we thought it would be fun for everyone to select the dinosaur they would like to be for the day. One of twelve different dinosaur name tags. The party took place in the late morning so we provided bagels, fruit salad, frittata, and chocolate, volcano cupcakes! For an activity, we organized a scavenger hunt. 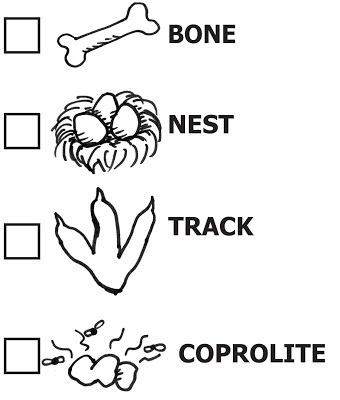 As junior paleontologists, the kids had to find four items that help us learn more about dinosaurs. I am unsure if this was the final version of the check-off list I created. 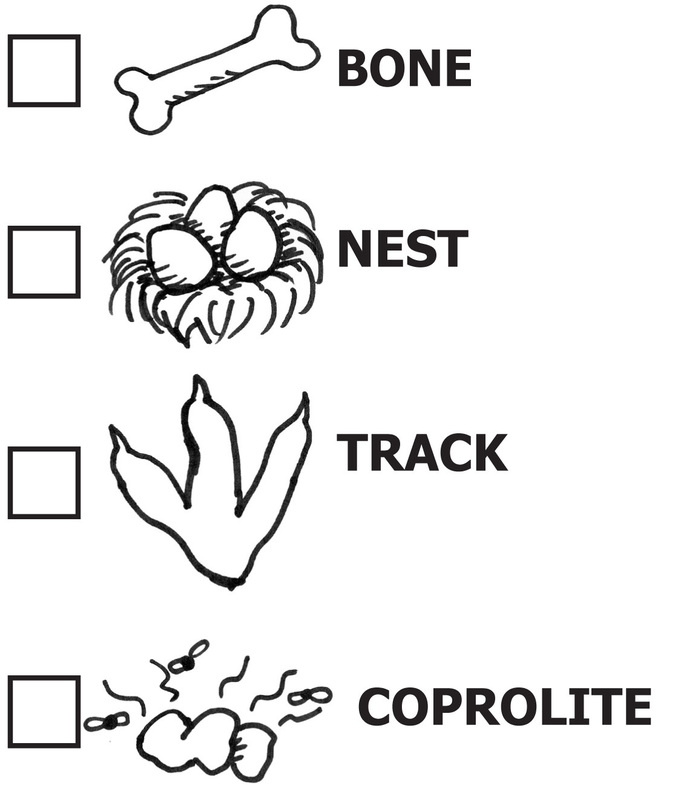 Amanda and I disagreed on whether I should remove the flies from the coprolite (because they are "inaccurate and gross"). I can't remember who won the argument. 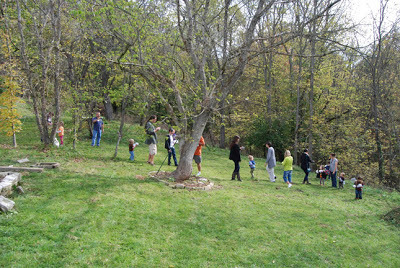 After the hunt was over kids painted the skull and footprints, ate the cookie, and cracked open their eggs. Can you identify the 8 dinosaur species partying at our house? Spot the: Ankylosaurus, Stegosaurus, Spinosaurus, Brachiosaurus, two Microraptors, Cryolophosaurus, Utahraptor, and Apatosaurus. Ezra loved the invitation I made for his third birthday party so much that I was afraid he would be disappointed by the actual party. 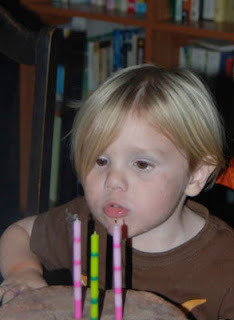 "When will the dinosaurs get here for my birthday?," he asked in the weeks before the party. Even after repeatedly explaining that dinosaurs (at least non-avian dinosaurs) lived a long, long time ago, he would not give up hope. 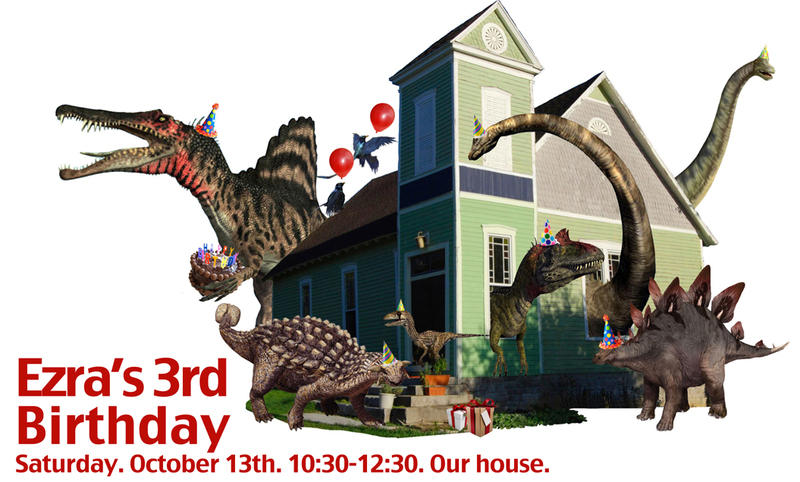 The day before the party he excused his guests' tardiness by reminding himself that dinosaurs can't drive so it would take them awhile to walk to our house. 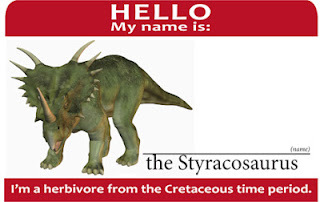 Yes, it is a long walk from the Mesozoic era. Once Ezra's family and friends started to arrive for the party he forgot about the no-show dinos. Which is good. How fun is a party when the guests want to eat you?